If you've come this far you are probably a fellow wanderer and dreamer. I'm excited to hear about what has brought you here and where this next adventure will take you. It is my passion as an artist and storyteller to create imagery that is emotive, vibrant and ultimately beautiful. I am deeply inspired by the magic and wonder of this world and it's people, finding beauty in the small moments, joy and celebration that unfolds to make our most cherished memories. Please explore my work and send me a note with any questions. I’m a dreamer, inspired by the beauty of this world. I love to travel and to learn, and am driven by wanderlust, family and adventure. I love natural light, and find joy in the little moments that unfold all on their own. Weddings and portraits have taken me around the world, and I love meeting couples and being given the unique honour of capturing their love for one another. 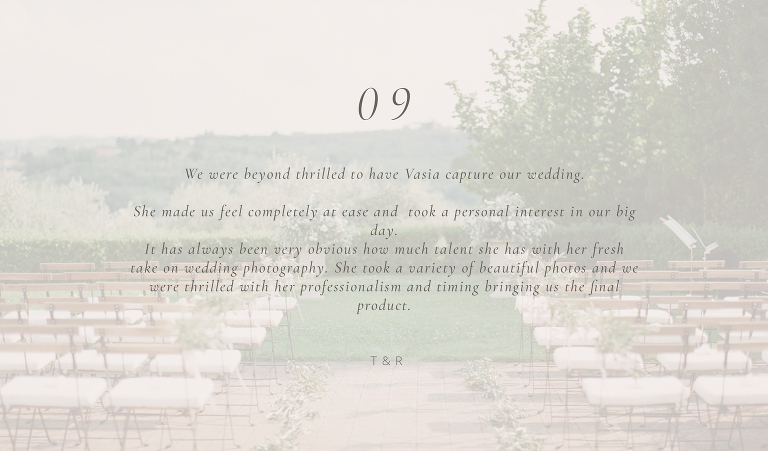 My approach is to beautifully photograph each element of a story in a way that is emotive, artful and timeless. 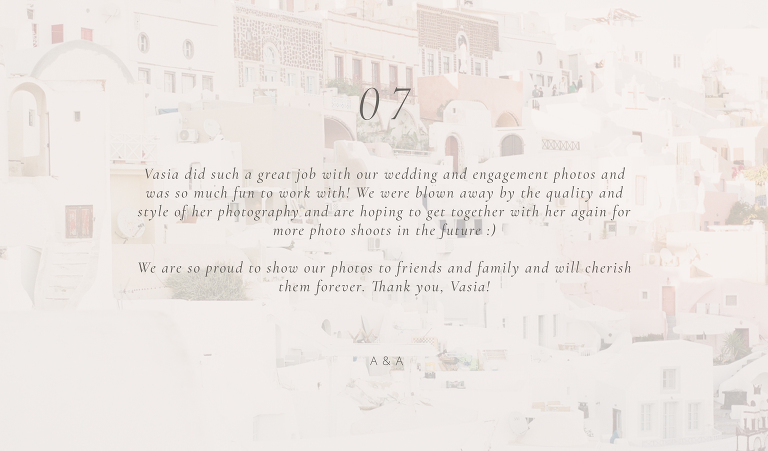 Vasia is based between Toronto, Vancouver and seasonally in Athens, Greece & Paris, France. She has been honoured with several industry awards and her work has been published in numerous magazines and blogs worldwide. Available for worldwide destinations and Europe-wide without international travel fees. 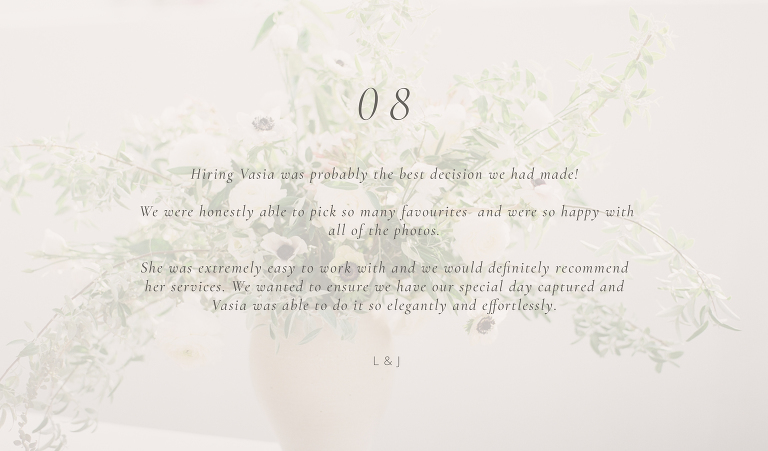 © 2019 Vasia Photography|ProPhoto Photo Website|Design by Northfolk & Co.